After more than ten years at Watford FC, Richard signed for League One outfit Brentford FC, but soon found himself cast aside. Dropped after one game and behind three other goalkeepers before he would get another opportunity – Richard would take on his toughest challenge to date! 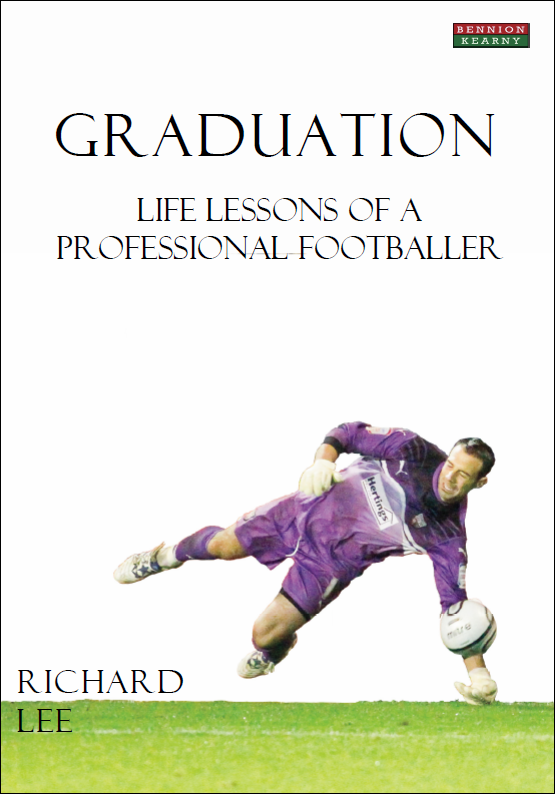 Filled with anecdotes, insights, humour and honesty – Graduation uncovers Richard’s campaign to take back the number one spot, save a lot of penalties, and overcome new challenges. What we see is a transformation – beautifully encapsulated in this extraordinary season. “Whatever level you have played the beautiful game and whether a goalkeeper or outfield player, you will connect with this book. Richard’s honesty exposes the fragility in us all, he gives an honest insight into dimensions of a footballer’s life that are often kept a secret and in doing so offers worthy advice on how to overcome any hurdle. A great read.” Ben Foster Goalkeeper, West Bromwich Albion. Richard Lee is a goalkeeper and currently plays for Brentford FC. He joined them in 2010 having spent the better part of ten years at Watford FC. He really likes facing penalties. Richard likes to keep busy. When not playing football, Rich runs a headwear company DrCap (which took him onto the BBC’s Dragons’ Den), GKIcon (a goalkeeping academy), is behind everyoneneedsamentor.com, and much more! Book Categories: Biography, Brentford FC, People, Soccer, Soccer Biography and Sport.